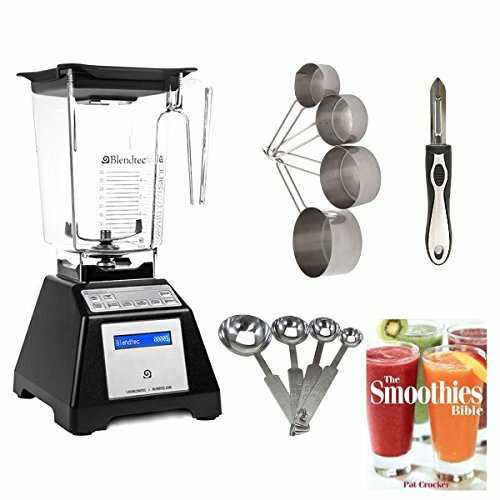 If you are on the market for a blender and have considered a Blendtec blender, you may ask yourself which jar to choose. 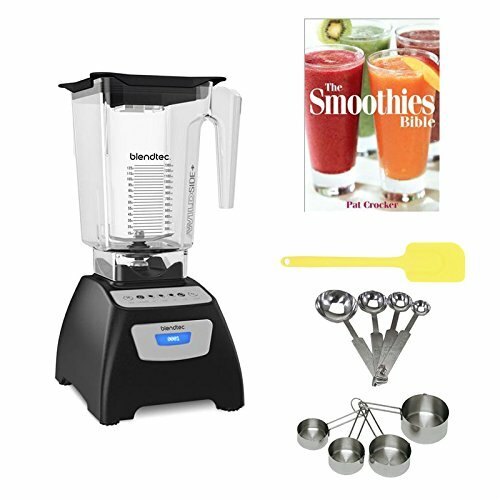 Yes you can buy any Blendtec blender with any the FourSide or WildSide + jars. Or perhaps you already own a Blender with a specific jar and you are asking yourself if you need the other jars. I hope this post will help you to choose the jar that you need according to your needs. 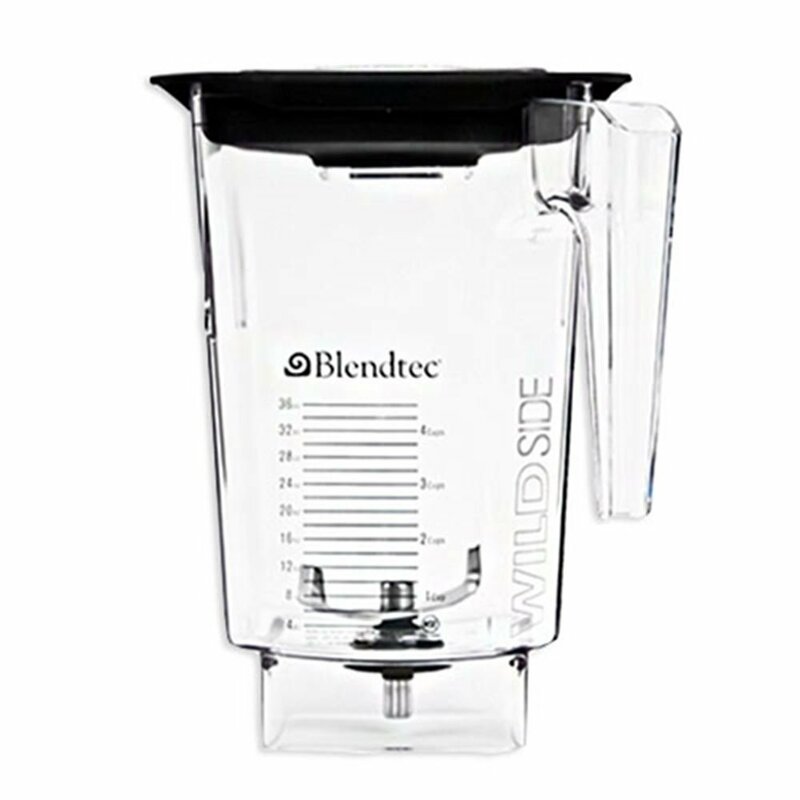 As said Blendtec comes with different jars, the WildSide +. the FourSide , The Twister jar and the mini Twister jar . There used to be a WildSide (no plus0, but that has been discontinued. 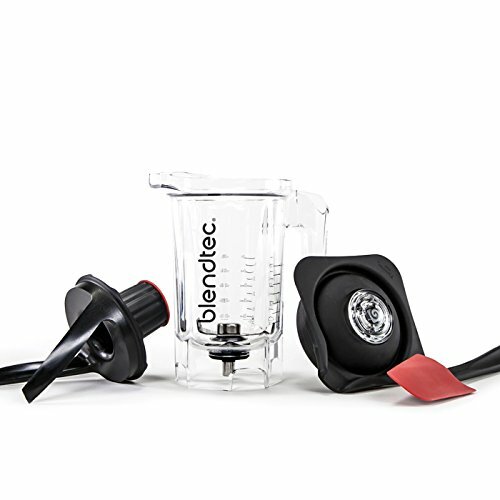 Read the Blendtec Jars Reviews below for more details. 1.2 What can you do with the FourSide Jar? 2.2 What can you do with the WildSide+ Jar? 3.2 What can you do with the Twister Jar? 4.2 What can you do with the Mini Twister Jar? 5 Blendtec Jars: How Can You Clean them? 7 So Which Jar Should you Get? The FourSide Jar is the oldest jar of all four. Like its name indicates it has four sides, therefore it is a square jar. 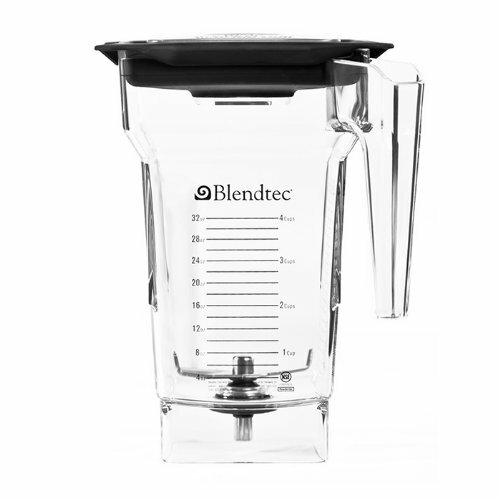 The good point about the Blendtec jar is that it has a wider base, so it is quite wide and it is easy to clean. So lets get to the specifics. Jar capacity 75 oz with markings up to 32 oz, nearly 2 quarts volume. Jar Dimensions: 5.37″ wide x 9″ tall x 5.37″ deep; 3.88″ wide/deep just above the base. Gripper lid which is easy to open. It comes with a center opening that allows you to add ingredients whilst you blend. Lid center piece will help you to blend hot liquids by venting pressure. Single pronge wingtip, nearly 3 inches, blade. Short enough to fit under your countertop. You do not need to go to the gym to lift it up since it is very light. 3 way pouring (you can pour from all 3 corners. Warranty 3 years, Residential use only. Compatible with all Blendtec consumer blenders. It is suggested that you fill up jar up to the 32 oz mark, so that it has space to expand. The blade comes permanently attached to the jar, and it is made out of stainless steel. So it can handle almost anything, The single blade design makes it easy for the ingredients to be processed. What can you do with the FourSide Jar? With regards to making nut butters, the Twister jar will work best for it, but you can still prepare nut butters with the FourSide jar You may need to stop the process to scrape the sides. It is good to note that the dimensions of the FourSide and WildSide jar with regards to width, depth and height are the same. What it changes is the contour, therefore the volume. You can get the FourSide Jar from Amazon or directly from Blendtec . 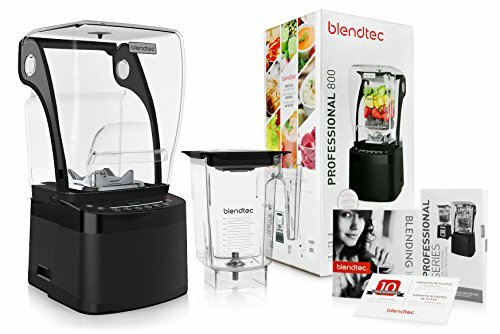 You can also get the Blendtec Total Blender with Fourside Jar. This is the largest jar in volume. Sizes regarding depth, height and width are the same as the FourSide. This is the one I would suggest you get, but both jars are great. BPA free copolyester durable plastic jar. Jar capacity 90 oz with markings up to 36oz, nearly 3 quarts volume. Jar Dimensions: 5.37″ wide x 9″ tall x 5.37″ deep; 4.63” wide/deep just above the base. Light, your arms will thank you. Wet and dry grinding in same jar. Note that all recipes that come in the book can be made in any of the jars, you just need to adjust the quantities accordingly. If the book says use the FourSide jar, and you want to use the WildSide jar, you will need to increase the quantities by 1/3 to 1/2 (of course if the quantities were large enough, no need to increase them). The WildSide + jar (the WildSide jar is discontinued) have two vertical ridges inside that helps accelerate the blending process. But this does no make it more difficult to scoop things out or clean the jar. What can you do with the WildSide+ Jar? You can still grind grains with this and do soups and nut butters. But you will need to do larger quantities. For nut butters you will need to stop the process to scrape the sides as well. You can use the WildSide jar for nut butters, but the Twister Jar will work better. This is, perhaps, one of the jars that you would like to have in addition to the FourSide Jar or WildSide Jar. It is mainly for thicker pastes like nut butters and baby foods. Spectacula Spatula which helps you to scoop out the thicker pastes like nut butter. Jar Capacity: 37oz, with measurements up to 16 oz. Dimensions: 5.7″ wide x 7.5″ tall (with lid) x 5.7″ deep (7″ with spout and handle). Compatible with all Blendtec blenders (note, it is not compatible with Blendtec mixers). What can you do with the Twister Jar? 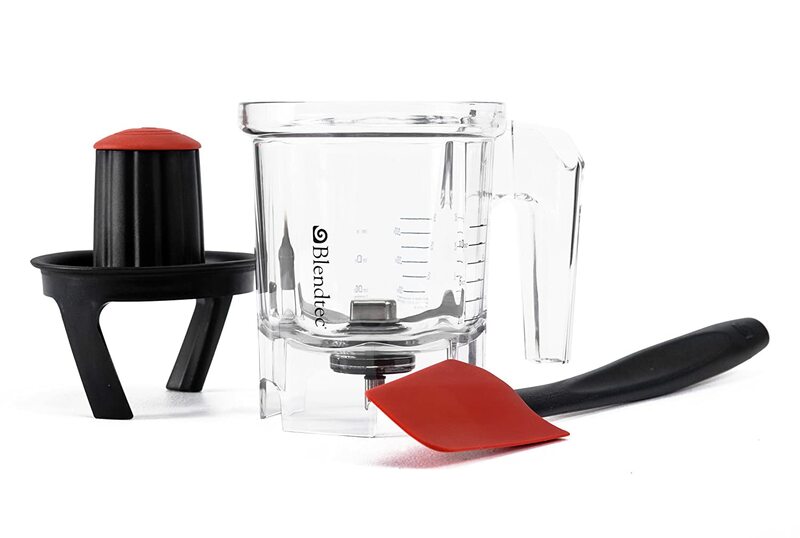 Note that the Twister jar fits all Blendtec bases, but the shape is round . To use this jar with the twister lid, start the cycle and twist the lid counter-clockwise (there is an arrow indicating). The arms of the lid will get the ingredients on the side of the jar and bring them back to the blades. The nut butter preparation will take less time with the twister jar than with the larger jars. The red part of the twister id can be removed to put more ingredients into the jar. You also get the Spectacula spatula, specifically designed to help you get almost everything out of the jar. This Twister jar as said is complementary, and it does not come specifically with any base, but you can buy it in addition to the other jar. If you do lots of nut butters and baby food, it is really worth it, but not indispensable. This is a mini version of the Twister Jar. It is too small for smoothies but it is great for nut butters or grinding spices. Jar Capacity: 28oz, with measurements up to 12 oz. Dimensions: 4.75″ wide x 5.62″ tall (7.87″ with lid) x 6.25″ deep. Compatible with all Blendtec blenders. What can you do with the Mini Twister Jar? Small portions of baby food. Note that the Mini Twister jar does not come with the Mini gripper lid. The jar is too small to do smoothies and shakes, but it is ideal for small quantities of nut butter or spices. The jar works the same as the Twister Jar. You also get the Spectacula spatula, specifically designed to help you get almost everything out of the jar. 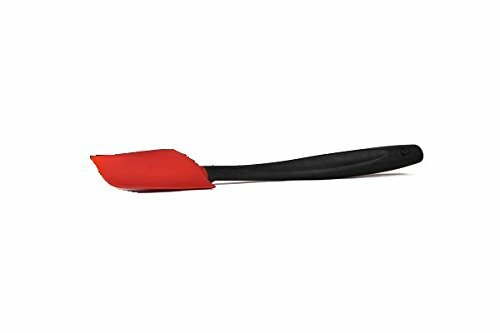 The Spatula can be used in any of the jars and it is quite expensive to purchase it separately. So it is a good thing that it comes with teh Twister jar. Blendtec Jars: How Can You Clean them? All Blendtec jars are dishwasher safe, if you put them on the top rack of the dishwasher. But since the jars do not have ridges, you can easily clean them by hand. I would rather clean them by hand than using the dishwasher. Fill jar with a cup of warm water, and add a drop of dish washing liquid. Then pulse for five seconds. Rinse and the jar will be clean. You could also add some vinegar. Spin the blade manually by the shaft on the bottom of the jar before each use to lubricate the blade shaft. Wash your jar immediately after use. Do not use abrasive cleaners or sponges on the jar. 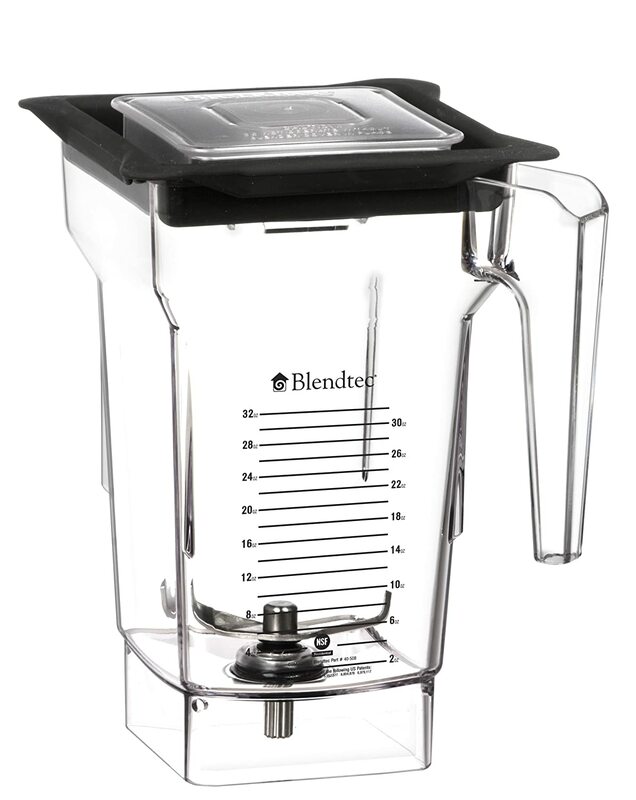 Blendtec has two other jars that are not compatible with Blendtec blenders. Yes, you understood that right. The jars were designed to work with the Vitamix. The Jars are the WildSide + Rebel Jar and the WildSide + XR jar. I will be reviewing this together with the Vitamix. So Which Jar Should you Get? I hope my description of the jars has helped you to decide . I personally would get the WildSide + jar. If you do nut butters or baby food regularly and you can afford it, get also the Twister Jar. If your family is small, or perhaps you are the only person in your family, then I would get the FourSide Jar. The price difference between jars is not so large, so get the one you feel more comfortable with. If you are in search of a blender, you can read my review of the Blendtec Total blender here. I Will be reviewing the other Blendtec models soon.